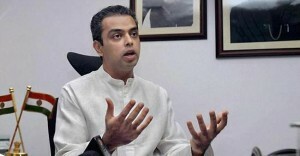 Even though having a PM candidate before polls has no “legal sanctity”, projection of personalities does matter in electoral politics, Union Minister and Congress MP Milind Deora said on Wednesday. “Personalities give the parties concerned a lot of clarity and allow dissent, if any, to come to the surface. Parties know how to deal with dissent and move forward,” Deora said. “A prime ministerial candidate does not work in our system. Ours is not a Presidential form of government. Those projected can be changed after the outcome of elections. There is no legal and constitutional sanctity,” Deora said. “I had taken a stand that those convicted be disallowed from contesting elections,” he said. “Parliament will function much better way,” he said. On Modi’s capability to lead India, Deora said the BJP leader’s social unacceptability will result in political instability in the country, which in turn will harm the economic and development agenda. “Compare Modi’s ability to govern with that of Vajpayee-led NDA… That was a hardline party with a moderate face,” he added.